East Chicago, IN - Between September 30th and October 2nd, 2011, the Church-school congregation of Saint George in East Chicago celebrated the 100th anniversary of the founding of the parish. 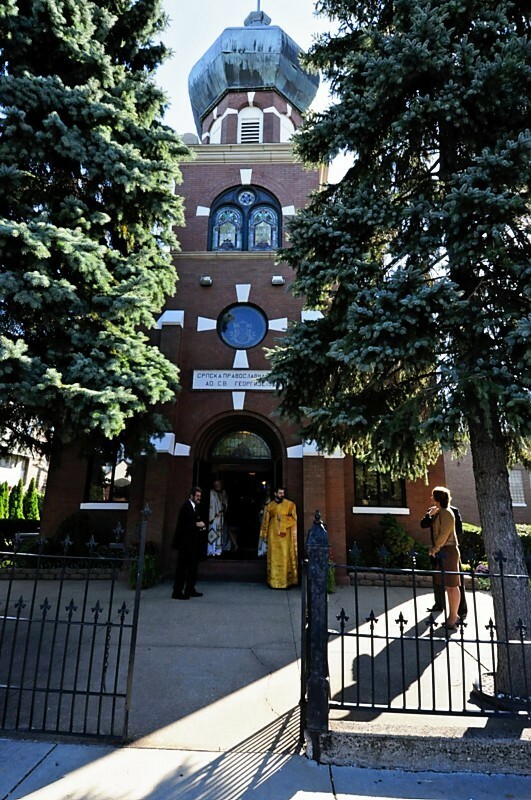 Serbs started moving into East Chicago over a hundred years ago, and the first organized Serbian society was founded on August 19th 1907 when the first church services also took place. 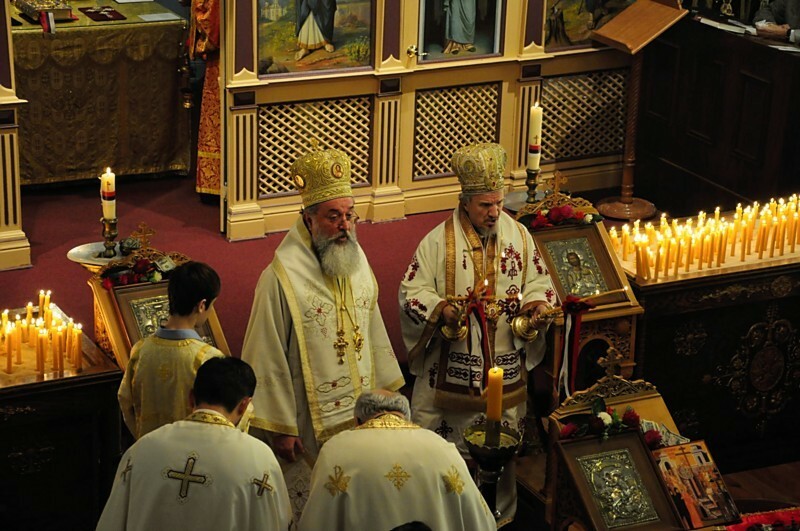 The Church-school congregation was founded on October 30th 1911, and its first parish priest was Archimandrite Hadzi Joanikije Markovic. The church was built in six months and was blessed by a local Russian bishop on the eve of Saint George's day, May 5th 1912. 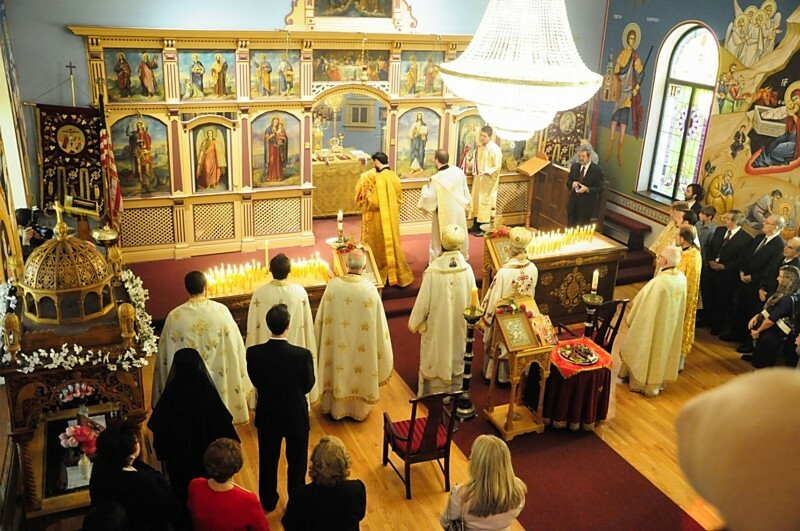 First parishioners were mostly from Lika and other parts of Serbian Krajina. Between 1914 and 1917 groups of parishioners left for South Chicago and Gary where they founded new parishes. This lead to the diminishing in the numbers of our parish. The parish was additionally weakened in 1917 when around one hundred volunteers went into the First World War. After the Second World War, many refugees arrived at the parish which led to its strengthening both on the spiritual as well as on the cultural level. 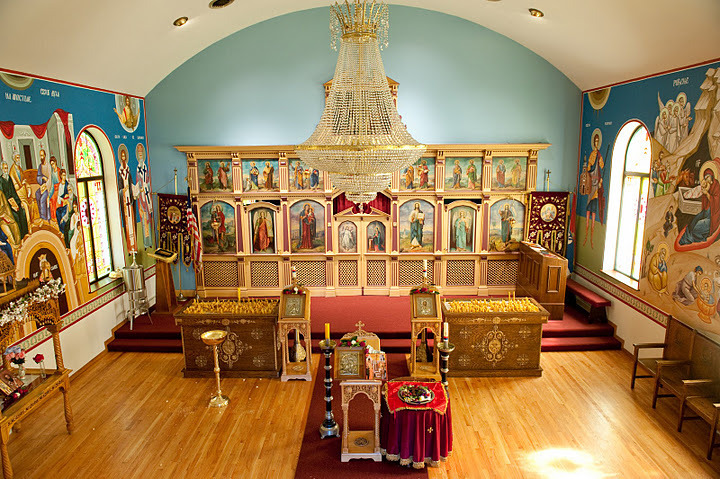 This congregation is the twentieth to be founded on North America and the church building is the fourth oldest Serbian church in North America that is still active. Only the churches in Jackson CA, Angels Camp CA, and Galveston TX are older than the church in East Chicago. 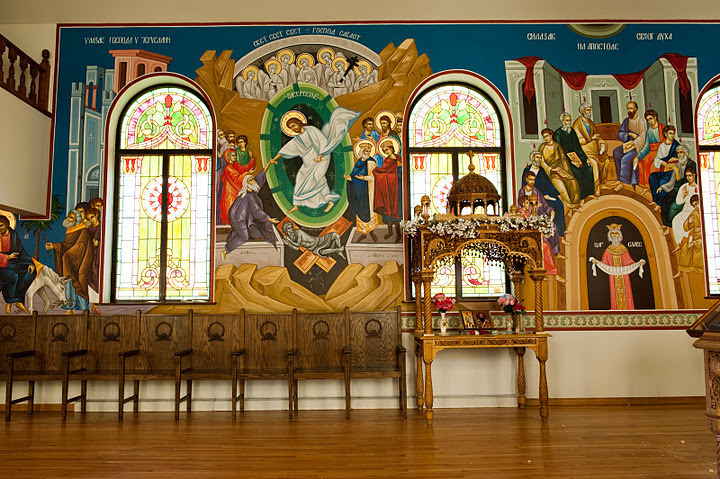 As a part of the preparation for this jubilee, the church was painted with frescoes which not only now decorate the interior but also bear witness to the truth of the Gospel. 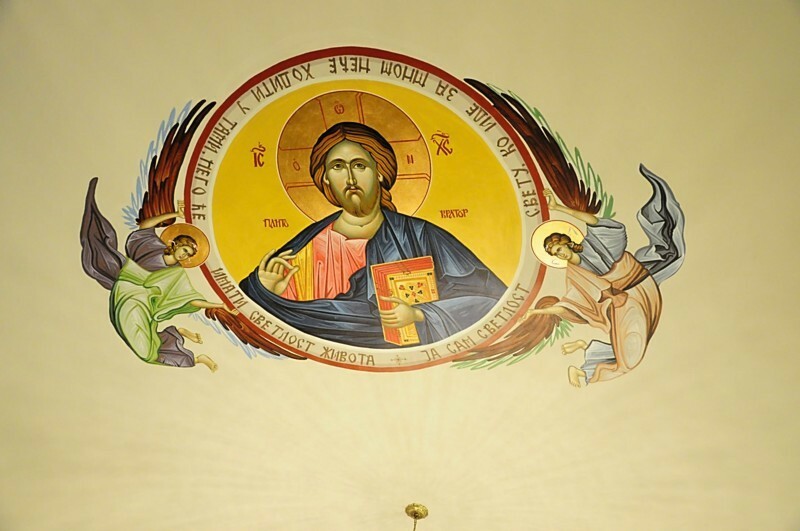 Frescoes were done by Filip Subotic, a graduate of the Saint Sava seminary in Libertyville IL. 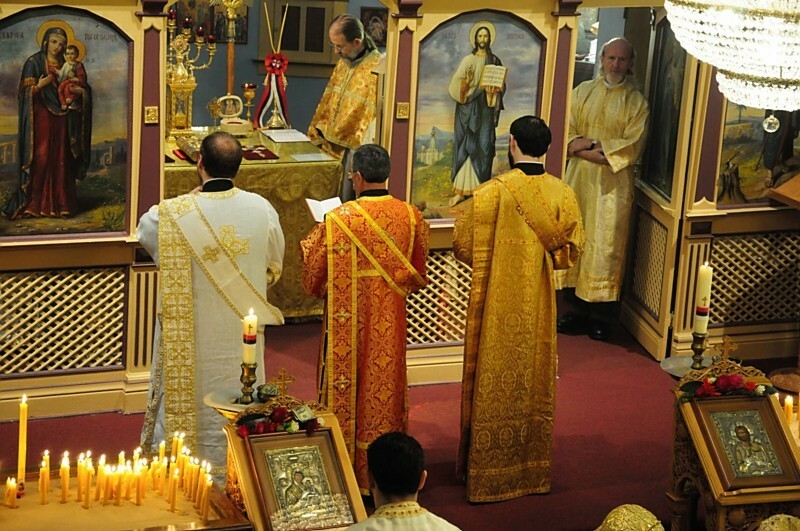 Celebration started on Friday, September 30th with the Akathist to the Holy Great-martyr George, the patron Saint of the parish. 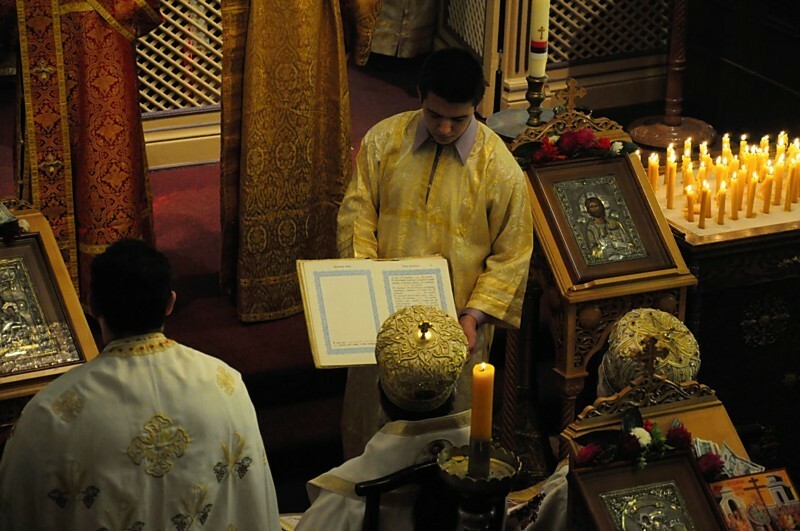 On Saturday, October 1st, Divine Liturgy was served along with the memorial service for the departed members of the parish. 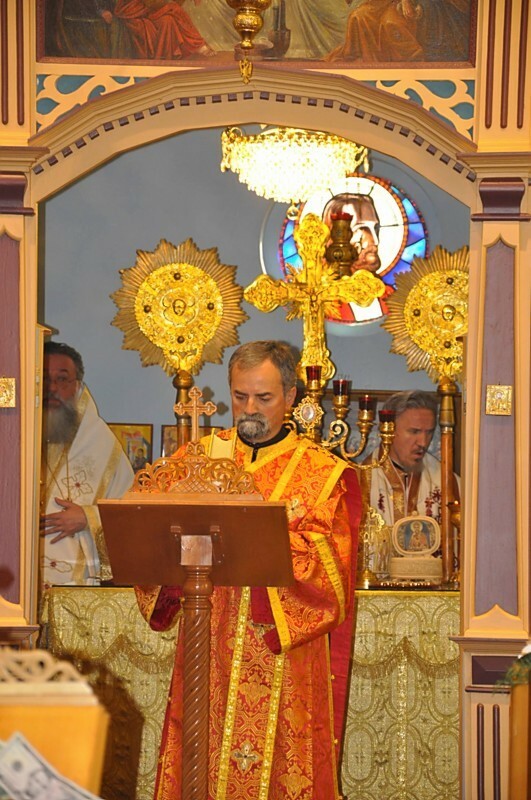 Divine Liturgy was officiated by the Bishop's deputy of Chicago, Protopresbyter Nedeljko Lunic of Joliet IL. 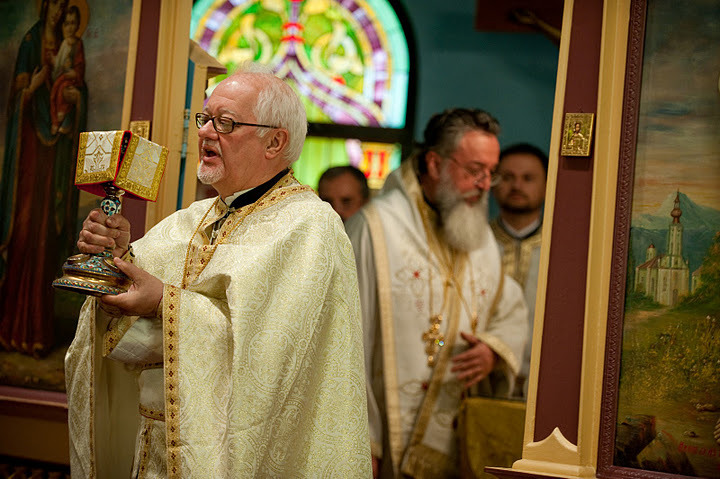 Also serving were Protopresbyter Stavrofor Lazar Kostur, Protopresbyter Stavrofor Ilija Balac of Seattle WA who grew up in Saint George's of East Chicago, Protopresbyter Dobrivoje Milunovic of Shererville IN, Priest Sergei Alekseiev of the Russian church in Hobart IN, Priest Marko Matic of Merrillville IN, Priest Sasha Nedic of South Bend IN, Priest Aleksandar Novakovic of Merrillville IN, and the local parish Priest of Saint George's, Aleksandar Savic. 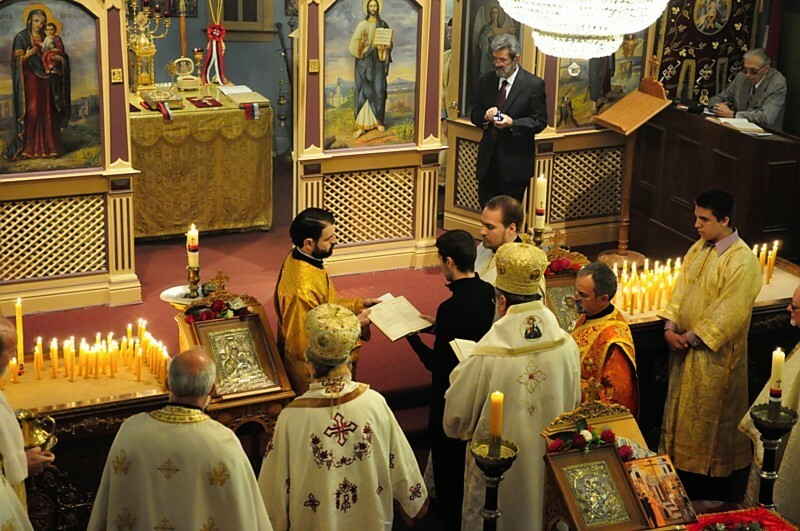 Liturgy was additionally beautified by the local choir “Kornelije Stankovic”. After the service, agape meal was served for all present. 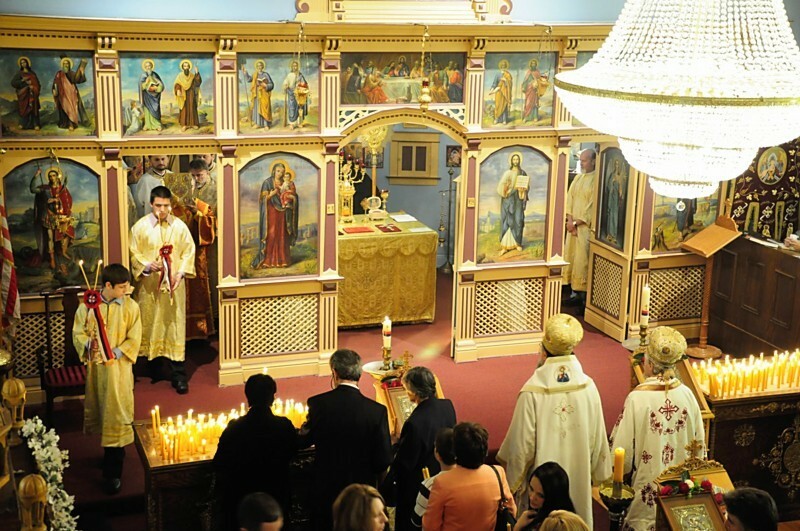 On the same day, a reception was prepared in the church hall with a cultural program. 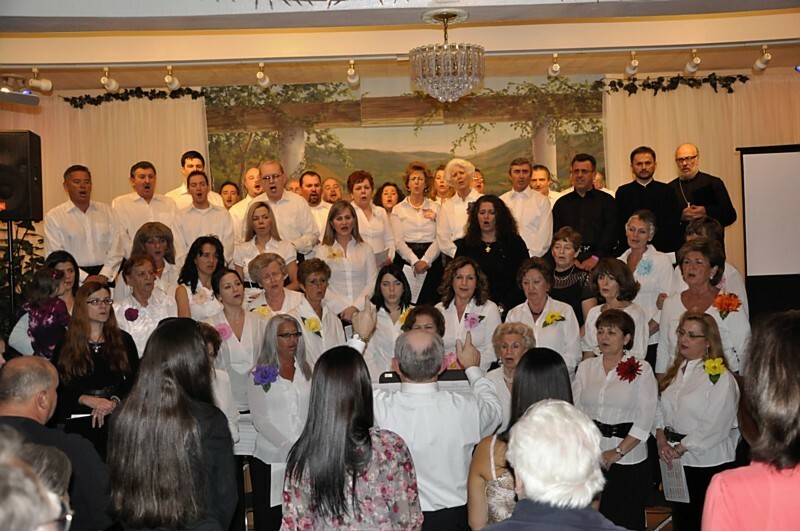 Participating in the program were the choir of the Holy Resurrection Cathedral at Palmer Square, folklore group Gavrilo Princip from South Chicago and the local parish choir. 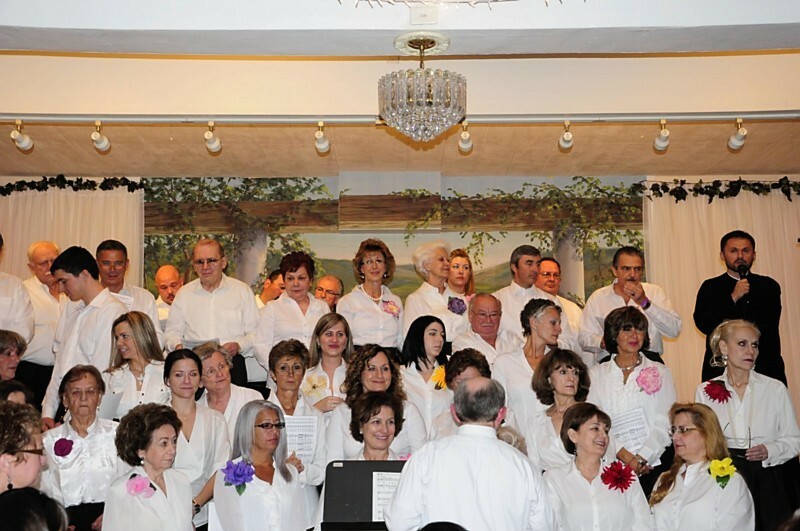 The main event of the celebration of the 100th anniversary was held on Sunday, October 2nd. 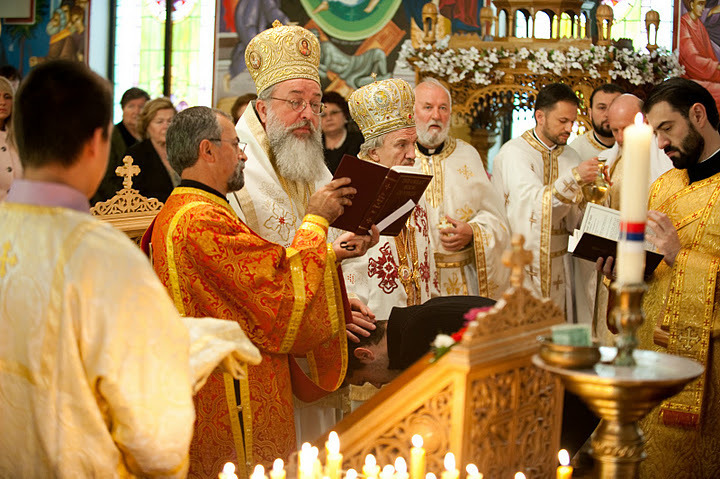 Divine Liturgy was served by Bishop Longin of the New Gracanica – Midwestern American Diocese and Bishop Mitrofan of the Eastern American Diocese. 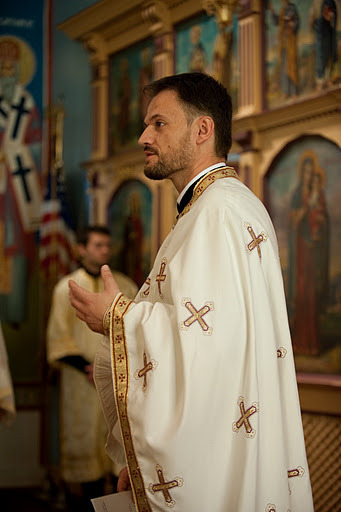 Serving with the bishops were Archimandrite Thomas Kazich of the New Gracanica Monastery, Protopresbyter Stavrofor Luka Lukic of South Chicago, Protopresbyter Stavrofor Ilija Balac of Seattle WA, Protonamesnik Darko Spasojevic of the Holy Resurrection Cathedral on Redwood Drive, Chicago, Priest Aleksandar Savic of East Chicago, Priest Dragan Micanovic of Nashville TN, Protodeacon Milovan Gogic, Deacon Damjan Bozic and Deacon Nikolaj Kostur. 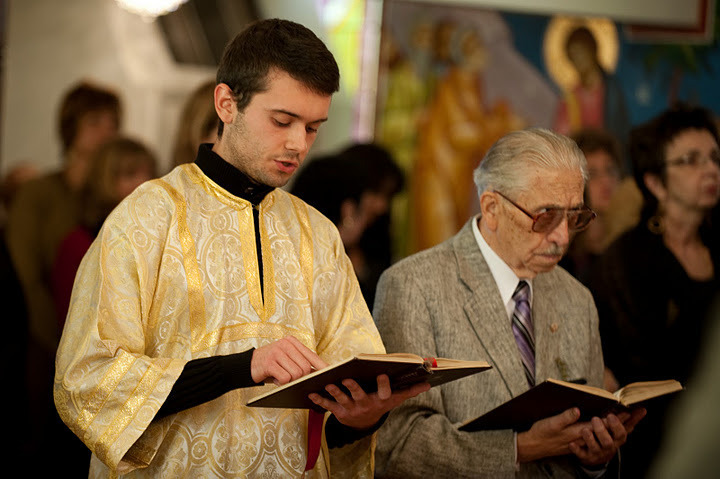 At the beginning of Divine Liturgy, Bishop Longin ordained a young parishioner Mile Krasic into the rank of Reader. Parish church was too small to receive all the faithful who participated in the prayer. 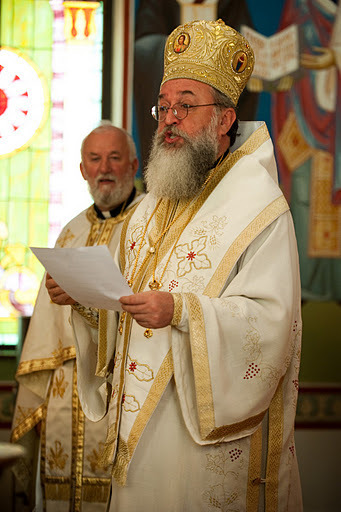 Inspired by the Gospel lesson about talents, Bishop Mitrofan delivered a sermon on how to use our talents for the glory of God and unto salvation of souls, pointing out as the example of the same the 100th anniversary of our parish. 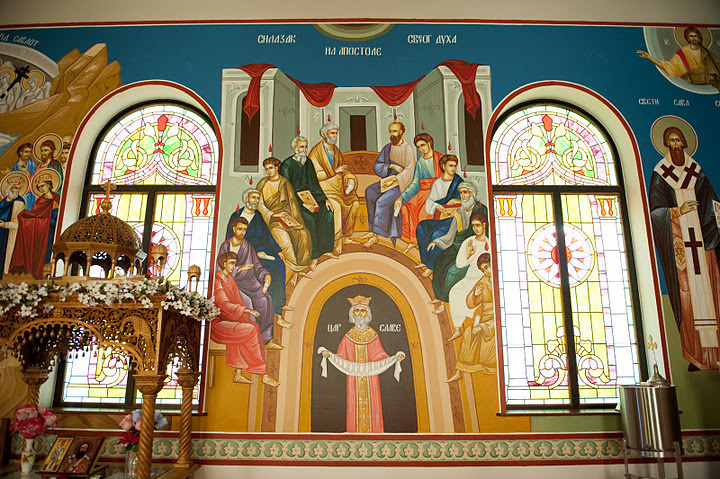 Frescoes were blessed by Bishop Mitrofan. 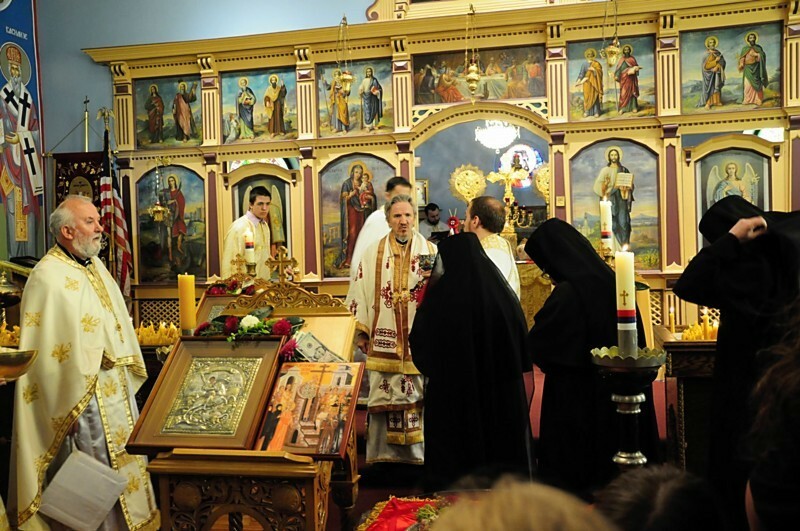 Greeting everyone present, Bishop Longin thanked Bishop Mitrofan for adding to the festivities with his presence. His Grace Bishop Longin awarded Fr. 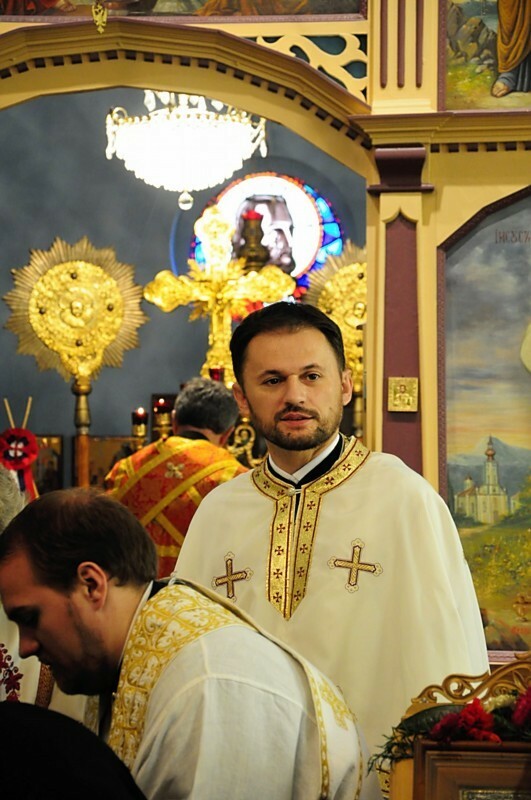 Aleksandar Savic for his dedication and work “on the field of the Lord” with the title of Protonamesnik, especially pointing out the exemplary family life of Fr Aleksandar's family as something that is crucial to a priest's successful pastoral work. The newly appointed Protonamesnik Aleksandar Savic, thanking the Bishop for the appointment and his trust, greeted and thanked everyone present for magnifying this festivity with their presence and their prayerful participation in the event. 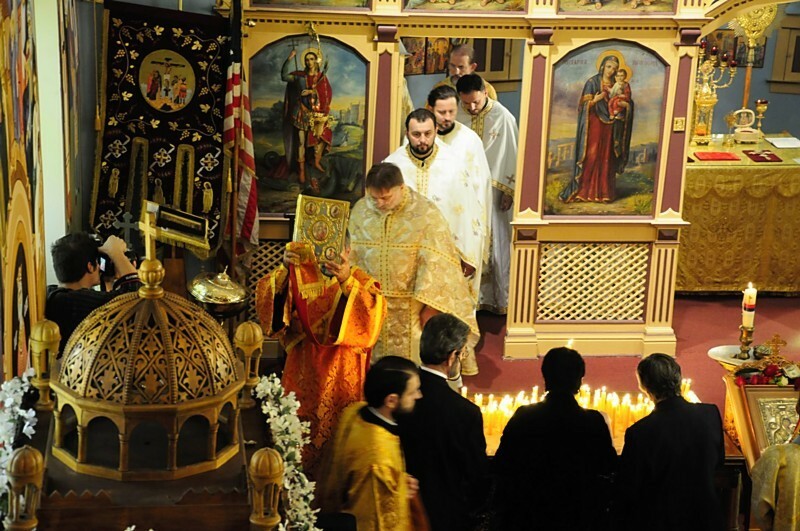 In an emotional way he shared the fact that the parish church has the relics of Saint Basil of Ostrog in the Holy Altar table, and that an icon of Saint Sava and Saint Basil of Ostrog was recently commissioned from the Tvrdos Monastery. 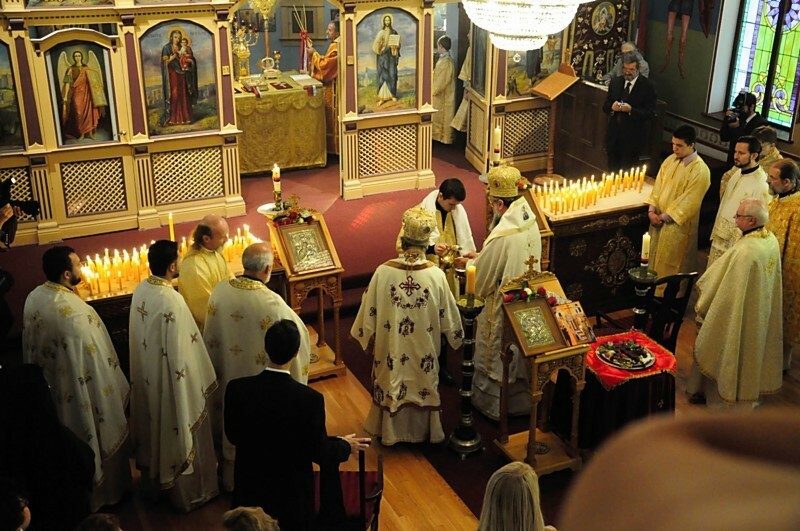 After Divine Liturgy, a special banquet was held at the Center for Visual and Performing Arts in Munster IN. 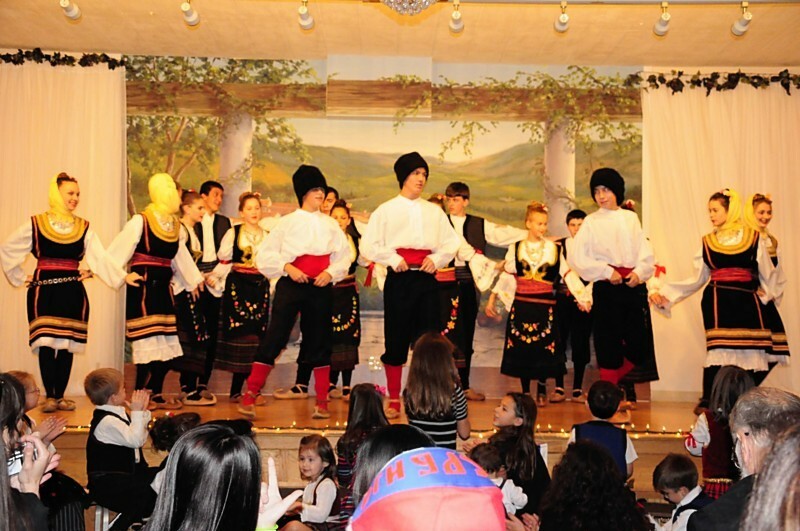 The fact that the hall was booked to the last spot two weeks ahead of the celebration shows how much importance this jubilee had for the Serbian community in diaspora. 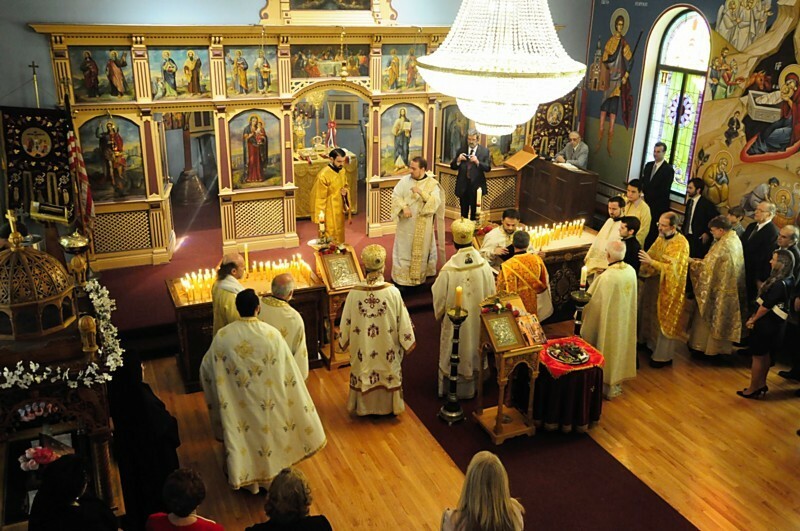 Along with a number of clergy and monastics, also present at the banquet were: the general consul of the Republic of Serbia Desko Nikitovic, Mayor of East Chicago Anthony Copeland, President of Serbian National Defense and past president of Church board Slavko Panovic, representatives of national and cultural organizations of Serbian diaspora and the representatives of the media. 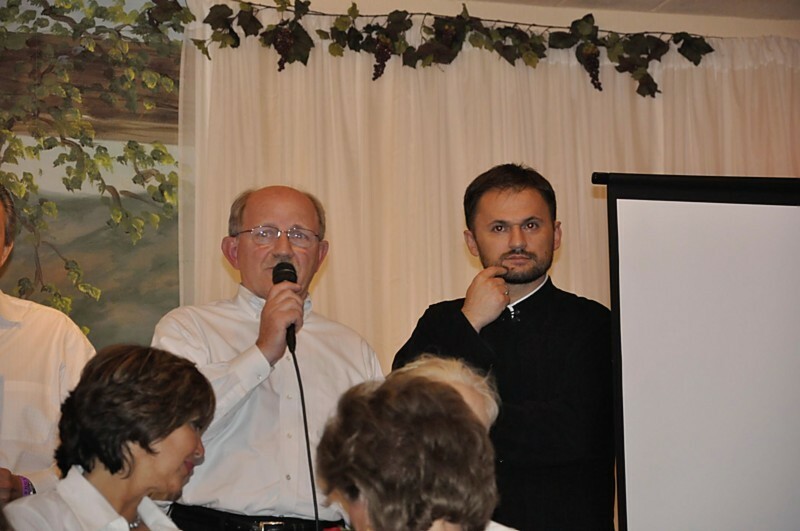 After the meal, guests were greeted by president of the Church-school congregation Svetko Balac, Fr. Aleksandar Savic, Mayor of East Chicago Anthony Copeland, His Grace Bishop Longin, Bishop Mitrofan of the Eastern American Diocese, the general consul of the Republic of Serbia Desko Nikitovic and the main speaker – a grandson of one of the founders of the church, David Stepanovic. 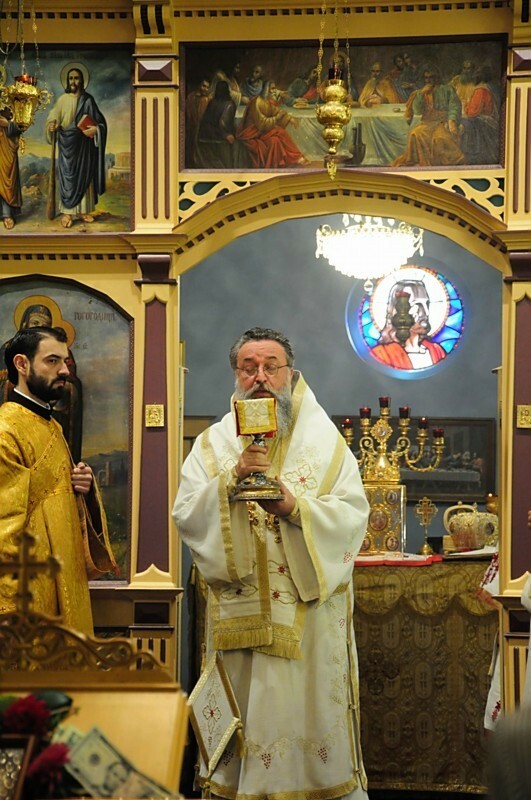 Toward the end of the program, Bishop Longin gave out awards to the deserving organizations and individuals who have contributed with their philanthropy and made it possible for this parish to bear witness of one hundred years of Serbs in East Chicago area. May the Lord and our patron Saint George grant that we offer our prayers of thanksgiving for many more years both to the Lord and Saint George, for all the spiritual goods which we received and which we will receive. May God grant it that we see many more beautiful events in our parish over the years to come.